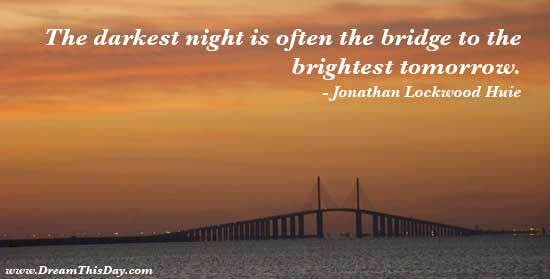 I hope you like these inspirational quotes about Night. I used to be dead tired when I got home at night. My kids are more precious to me than anything. I'm with them all day, and I write all night. to a party and dancing all night with one's mother. would so that someone would dance with me. last will come the late night final. I do have odd habits. I check under my bed every night for the bogeyman. That's just a little thing, though. of the night wind and I don't worry about my destiny.